Aylen (7), Joe (6), Senia (5) and Brooke (4) created the questions and I edited for clarity. 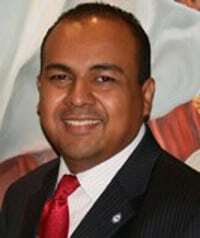 Below is the interview with Hugo Mojica, Candidate for HISD Trustee District I! The HISD Board of Trustees’ (there are 9 total) main responsibilities include: setting policy, hiring/firing the Superintendent, approving the district budget, setting the tax rate for the system and approving contracts/work needed for the schools. The Trustees only have one employee—the Superintendent. Getting elected HISD Trustee requires having many conversations with people about your vision for public education. In my case, I want to help HISD become a district where all its children receive a quality and equitable public education. Those conversations take place at meetings of PTO/PTAs, civic clubs, community events; block-walks around the neighborhoods and any other event or meeting. I like going to the movies. I tend to visit several theaters throughout the city to see which ones are the best ones. It also serves a relaxation tool for me. My favorite thing about Houston is its rich diversity. Houston serves as our own little world with the over 100 languages spoken in the city. I also like the fact that we are known as the ‘Space City’ because of NASA. I like the 4th of July celebrations because of the various bands, fireworks show and the opportunity to enjoy the downtown parks.